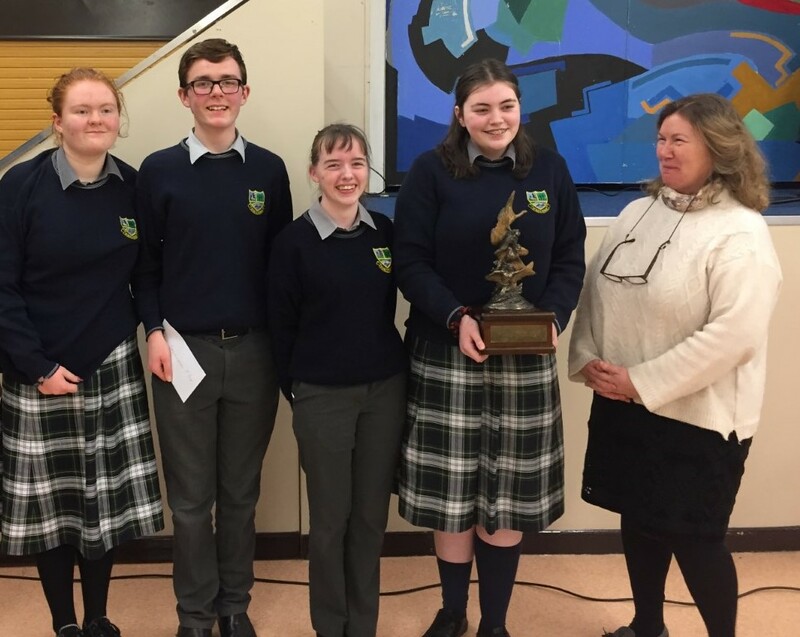 St Paul’s, consisting of Jillian Byrne, Stacey Broughall, Úna Duffy and Patrick Duffy travelled to UCD at the weekend to take part in the National Final of the History Teachers Association of Ireland (HTAI) History Quiz. Up against some of the top schools in the country, the team did the school proud in finishing 3rd overall, just 2 points behind eventual winners Glenstal Abbey and 2nd placed Ardscoil Rís Limerick. Just a month earlier, they had qualified for the Finals by winning the Leinster Branch of the HTAI Quiz. Úna, Patrick, Stacey and Jillian receiving the winning Leinster Branch trophy from the HTAI president, Deirdre MacMathúna.